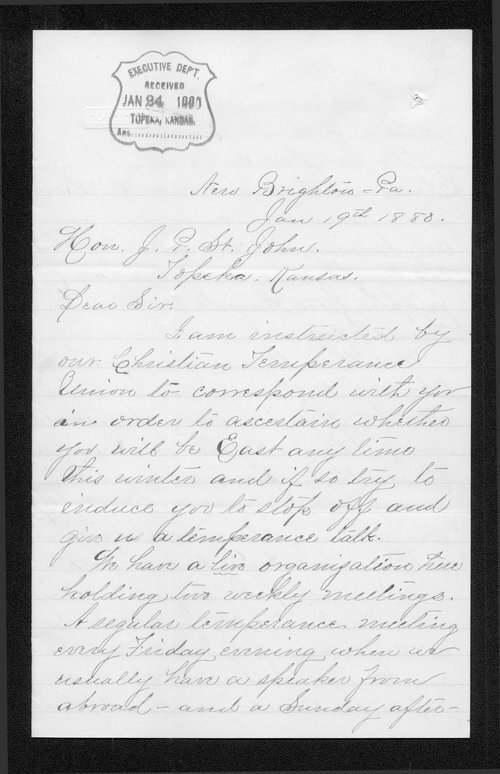 From New Brighton, Pennsylvania, comes a plea from Annie Kennedy for Kansas Governor St. John to visit her city and speak on temperance. Kennedy also lauds the efforts of temperance worker Mrs. E.B. Russell.